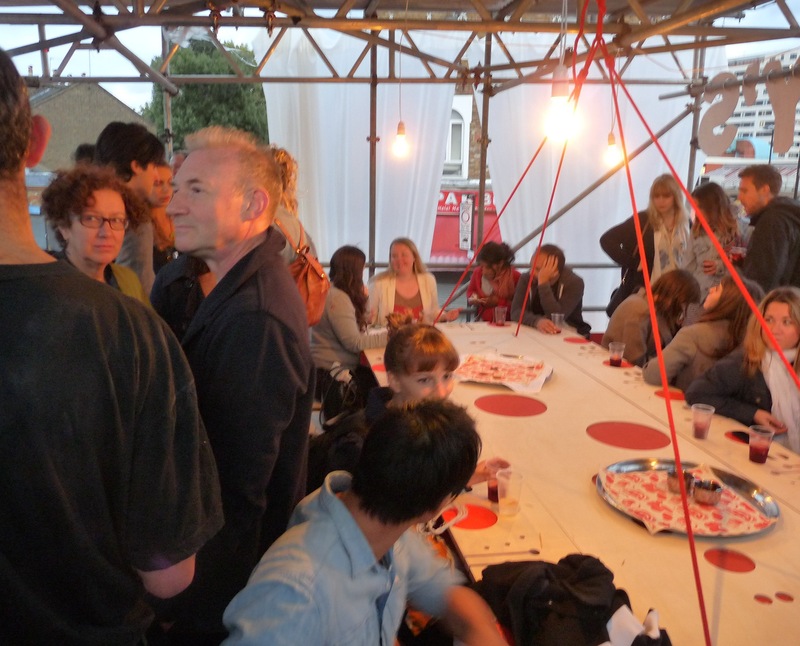 RISING UP from a scrap of land in Ridley Road market where once an old caravan served teabags and instant coffee is this truly pop-up restaurant. The Decorators and Atelier ChanChan, the organisers, call it a “market food initiative”, although happily for simpler folk these, uhm, artytecture types also call it “Ridley Road’s September Kitchen”. They’ve come up with a striking concept: for three or four weeks you can dine high above Ridley Road on the best the market can offer at a communal table on the second floor. If you want lunch, you exchange produce you’ve bought from the market for a meal. Dinner (what the middle class call the evening meal) will cost £15 . That includes the nosh (what middle-class folk call food when they brandish words like “inclusive”) and a £10 food shopping voucher. Guest chefs will create menus and their meals will be prepared in the ground-floor kitchen, then raised Heath Robinson-style to the first floor. 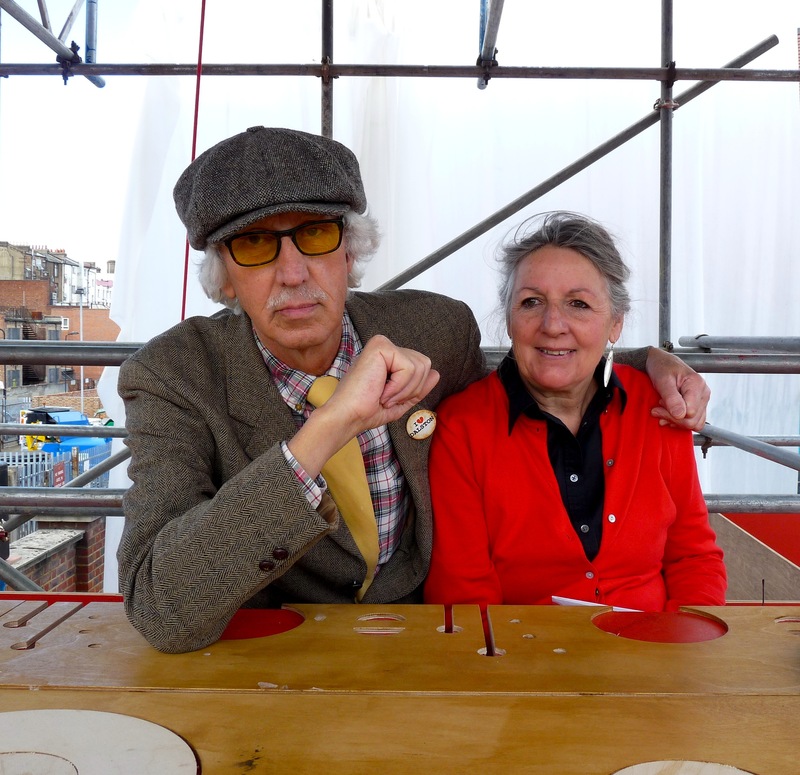 Top and right: launch night and, above, a vintage couple awaiting lunch at the pop-up. Ah, bless! Hackney council invariably goes for a top-down approach to regeneration. The project is a living example of regeneration, ground-up. Will the council get it?